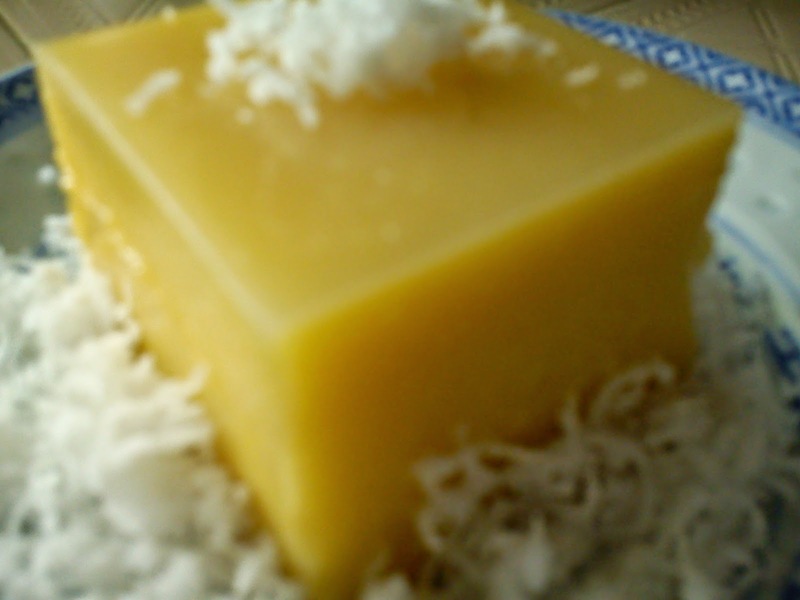 Was attracted to this golden looking kuih posted by Aunty Young quite sometime ago. Finally made it when the kuih making 'bugs' attack my kitchen and there were requests from family members for steamed kuihs. 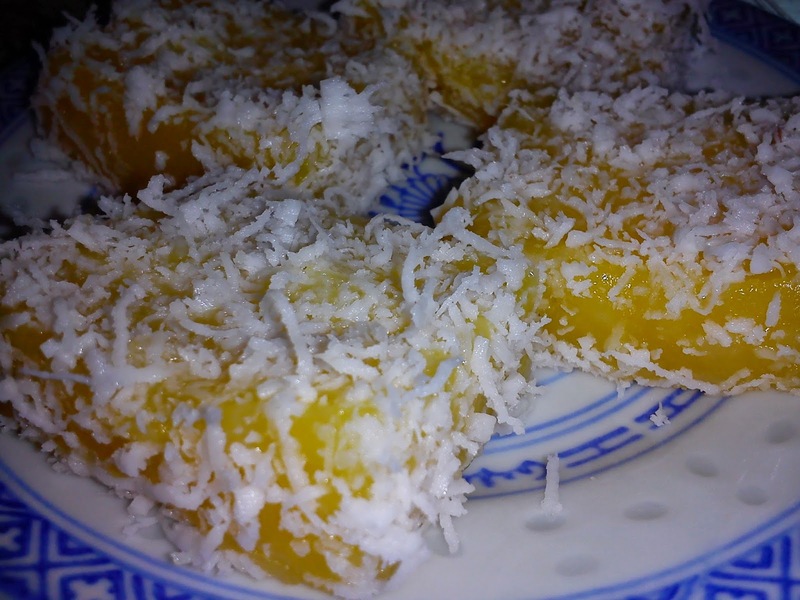 This pumpkin kuih not only looks sweet but is delicious with the 'lemak-lemak' taste. Soft and springy. Only thing to note is to steam for 30 to 35 minutes if steaming in a big mould. Agree with Aunty Young, the sweetness is just nice and not to reduce the sugar. Steam the pumpkin until cooked [about 20-30 minutes], then mash it. 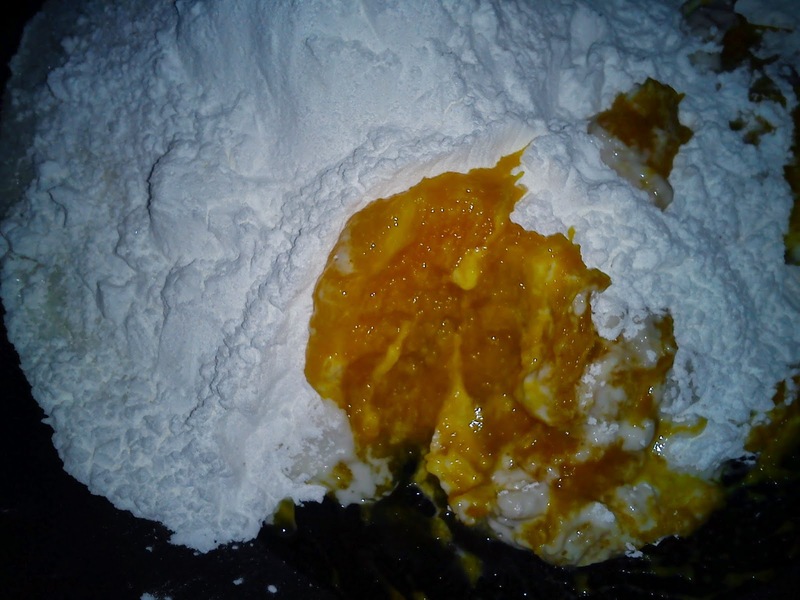 Mix in the tapioca flour, rice flour, sugar and salt in a mixing bowl. 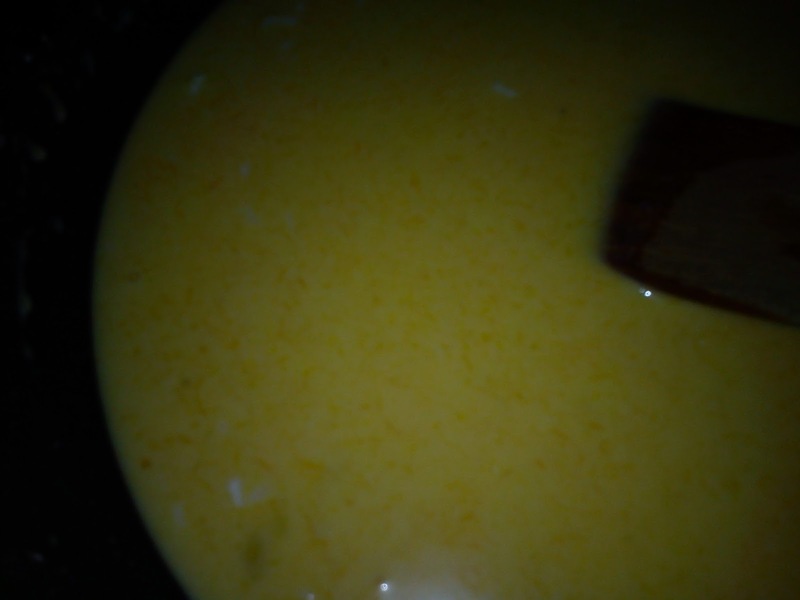 Gradually add in the coconut milk and water. STRAIN through a sieve. 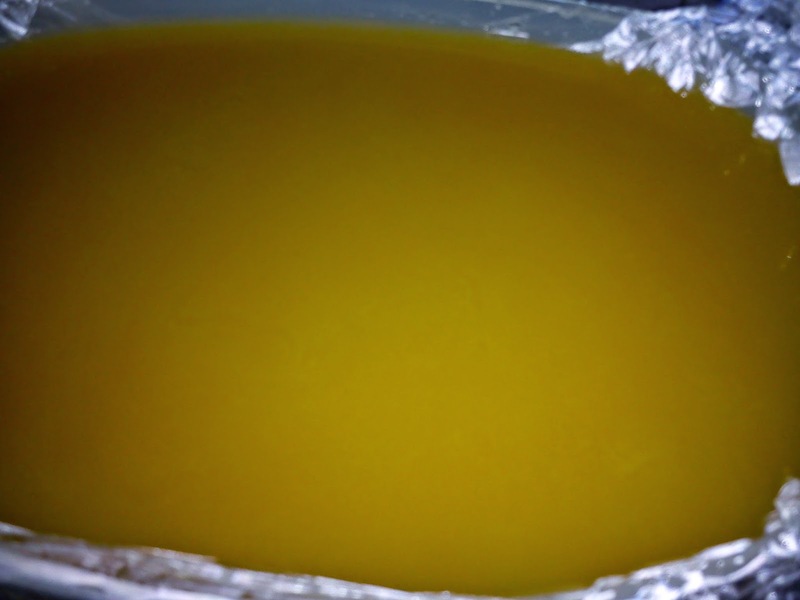 Pour the mixture into a pot and cook over a small flame while stirring constantly for about 10 minutes or until it gels up a little. 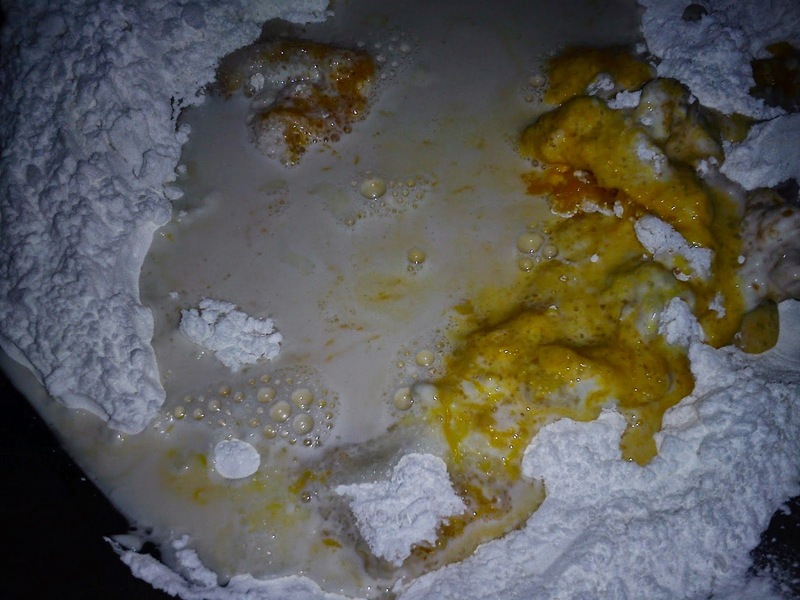 Pour the mixture into small moulds and steam over high heat for 20 minutes, or until a skewer inserted comes out clean. 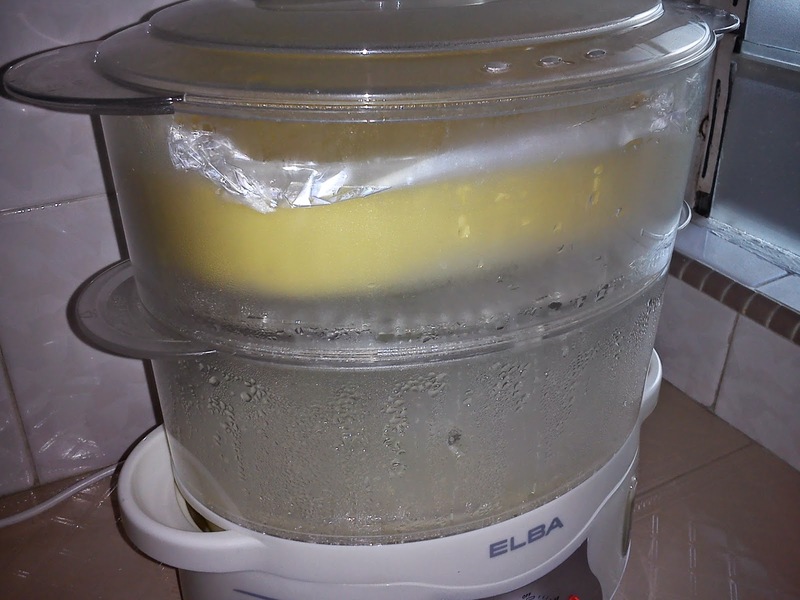 If using a big mould, steam for 30-35 minutes or until set and firm. 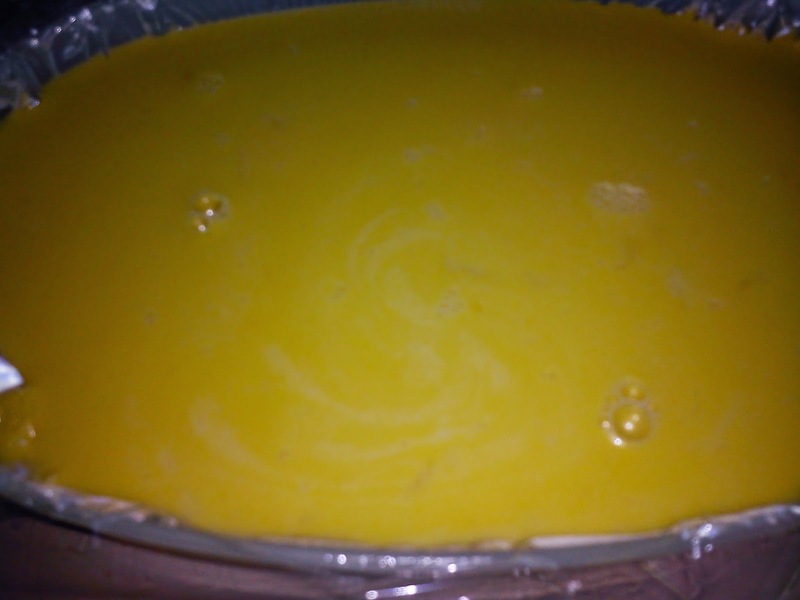 Remove from mould and allow to cool completely [several hours]. 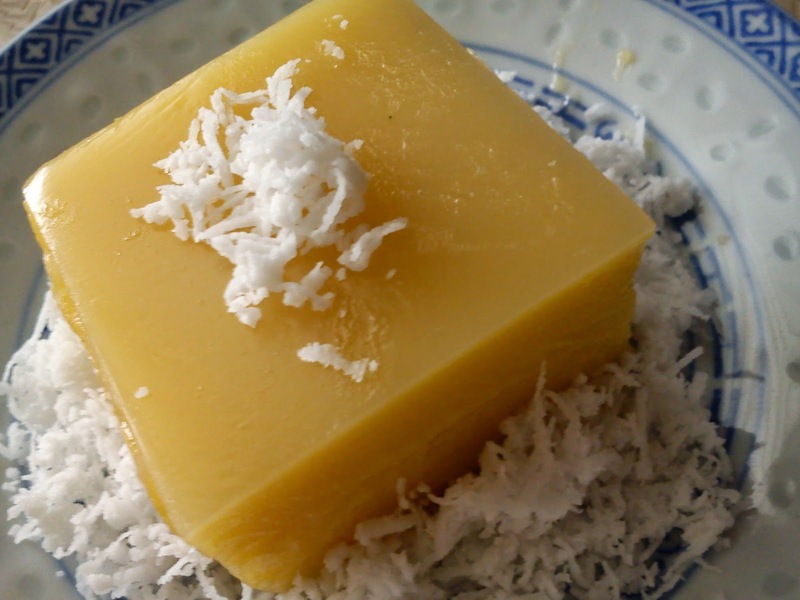 Cut into pieces and coat with grated white coconut. This steamed pumpkin kueh looks good. 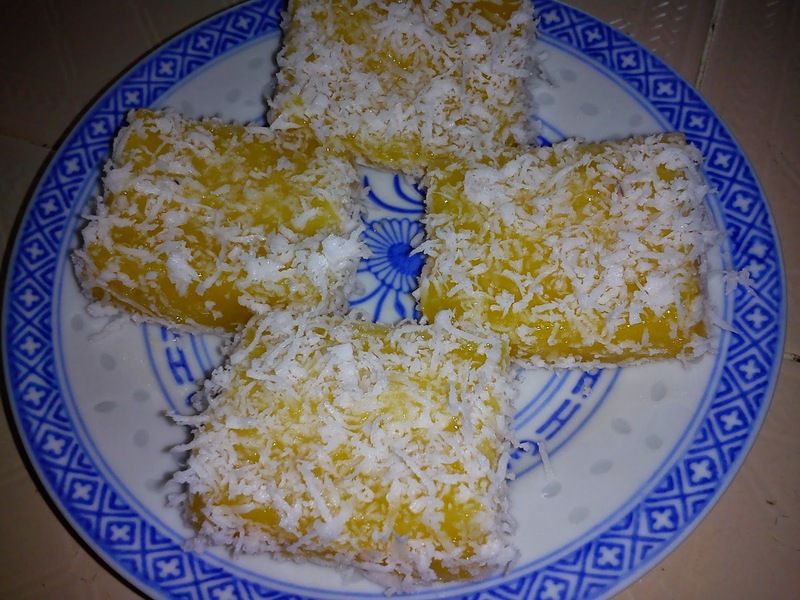 I've a soft spot for coconut, especially any kuehs coat with grated coconut. But unable to take too much. Will try making a small tub. Thanks for sharing. Hi Karen, me too loves any kuihs with coconut but 'controlling' myself not to over eat cos' of cholesterol level and sugars in kuihs. So I usually will share or giveaway some to friends and relatives. Making a small portion is good option. Kimmy, I want to make this one day when I am in the mood. I think I will enjoy it a lot. 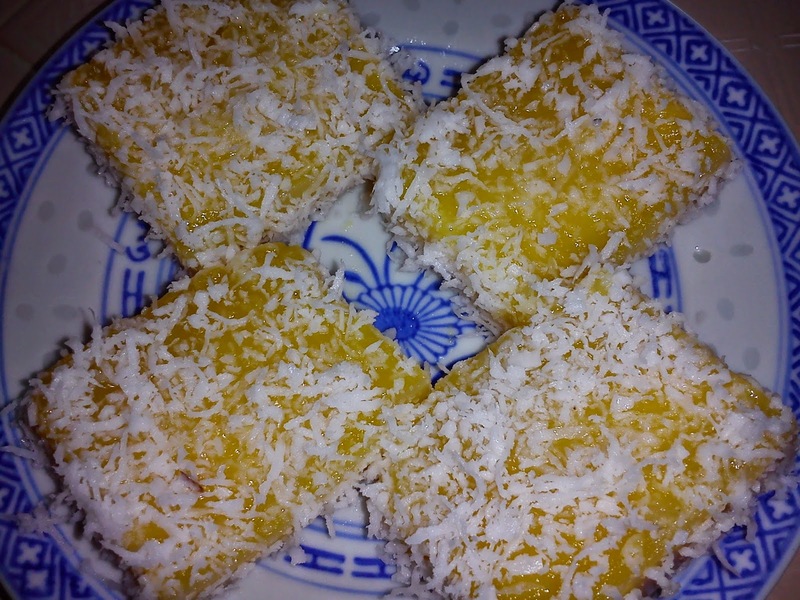 Must have lots of grated coconut to make it even more ho chiak!